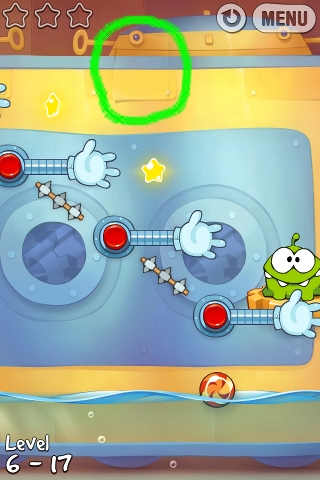 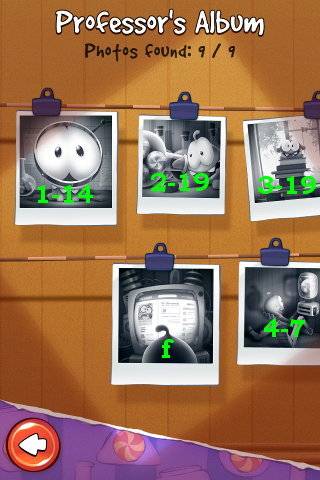 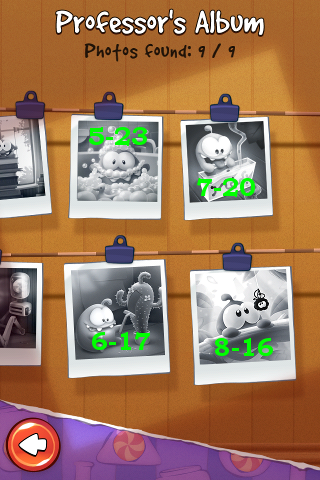 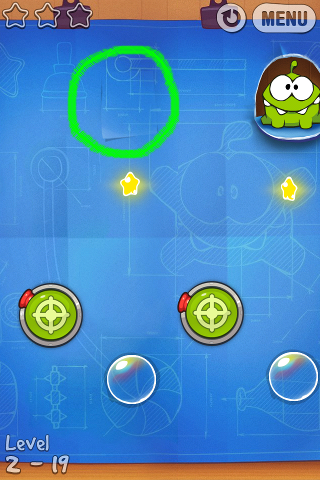 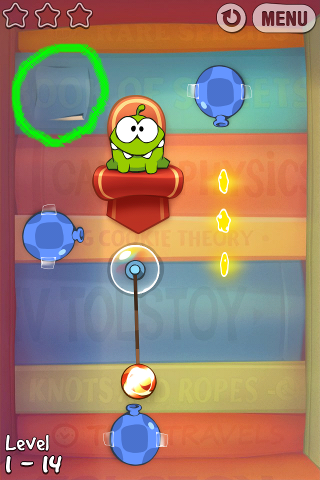 "Cut The Rope" and "Pudding Monsters": Om Nom Drawings in "Cut The Rope: Experiments"
Om Nom Drawings in "Cut The Rope: Experiments"
Drawing Location in Level 1-14 of "CTR: Experiments"
Drawing Location in Level 2-19 of "CTR: Experiments"
Drawing Location in Level 3-19 of "CTR: Experiments"
Drawing Location in Level 4-7 of "CTR: Experiments"
Drawing Location in Level 7-20 of "CTR: Experiments"
Drawing Location in Level 8-16 of "CTR: Experiments"
For the "HD" (iPad) version, there's an EXTRA drawing located in Level 3-15. 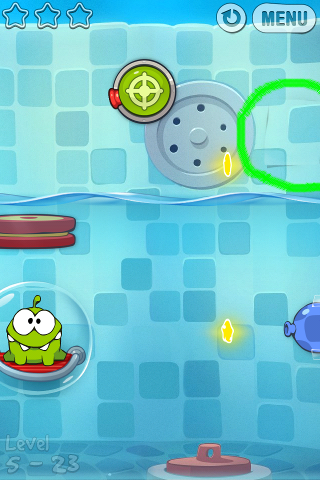 I don't play the "iPad" version so I cannot show you the exact drawing location but you can get it easily. 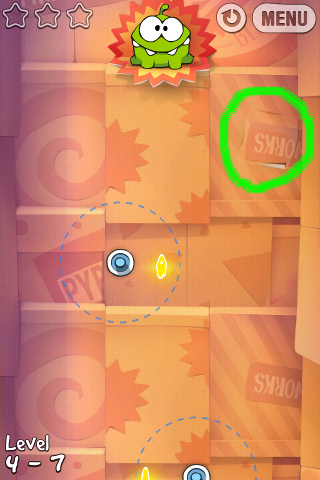 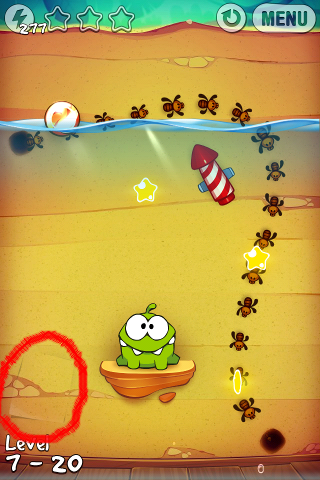 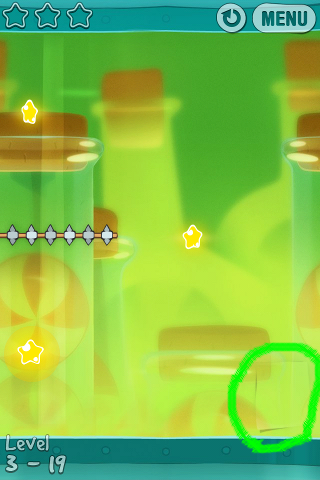 For those levels whose gameplay area is more than 1 screen, like 2-19 (hidden drawing location at top right), you have to play the game until the candy moves near that location and the hidden drawing (looks like a piece of paper) appears on screen then you can tap on it.